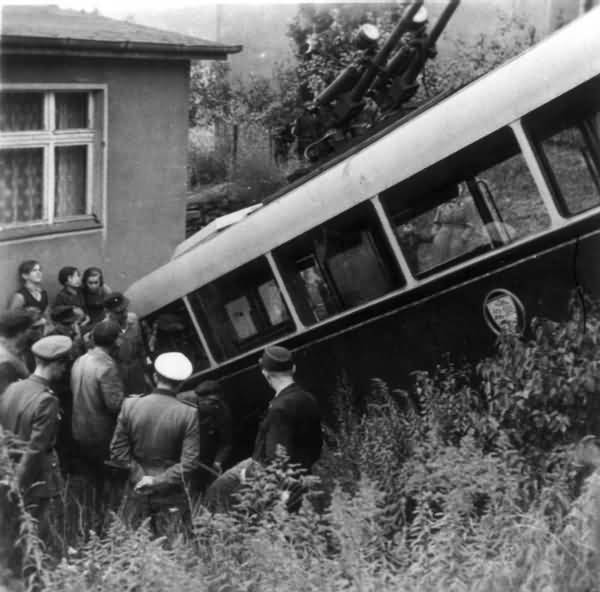 In the year 1955 a heavy traffic accident occurred with trolleybus no. 04II of the German type KEO I (war unit trolleybus standard size 1) on the line Westend-Nordend in the Poratzstraße. At this trolleybus the left front wheel blocked due to a technical defect at the brake. 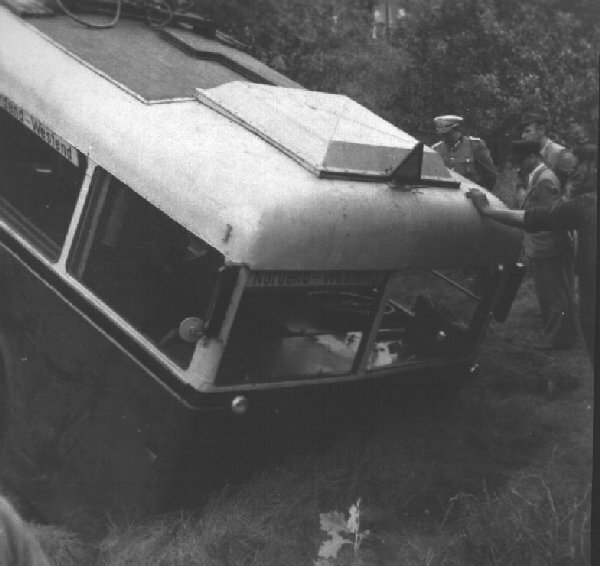 Thereupon the trolleybus got to the left off the roadway and fell down one about 8-10 m deep slope. 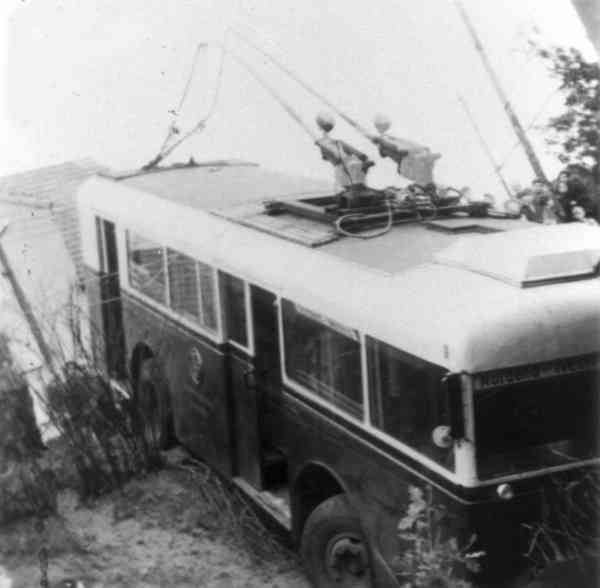 The trolleybus came briefly before a one-family house (Rosengrund 1) to stop. Nobody was injured and the trolleybus not further damaged. Here three pictures of this traffic accident. One considers the following picture: Although the trolleybus is about 1.2 m deeply in the ground, the body of the trolleybus is perfect correct. At today's modern buses with bumpers from plastic and sheet metals of 0.8 mm strength absolute unimaginable. By such a heavy traffic accident with modern buses the driver is the first, who was "out of action".